Tommy Paris is a Singer/Songwriter/Multi-Instrumentalist, known prominently as the Lead Vocalist/Guitarist for platinum metal band, Britny Fox. With international albums released on Columbia, Atlantic, MCA, Sony and Eagle Rock Records, Tommy has toured every state in the US and many in Canada numerous times, continuing to this day, including: Monsters Of Rock Cruise, Sirius XM’s Hair Nation Festival, The M3 Festival, Farm Rock Atlanta and many other large, multI-bill concerts. He has appeared on MTV and VH1 multiple times, as a guest and in videos. When Tommy graduated high school in California, he began touring neighboring states in popular cover bands. He has performed as a drummer/singer in country rock and punk groups, most notably with Chris Kael (5 Finger Death Punch) in the Las Vegas based THE UTMOST. Tommy has recorded or played with industry heavyweights: Zakk Wylde (Ozzy Osbourne, Black Label Society), Rikki Rocket (Poison), Jimmy Crespo (Aerosmith), David Ragsdale (Kansas), and John Corabi (Motley Crue, The Dead Daisies). He has been Bassist/Vocalist for renowned Las Vegas Casino headliner, Phoenix. 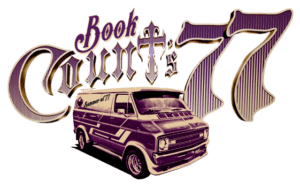 Tommy is the Keyboardist/Vocalist for Count’s 77 featuring Danny “Count” Koker from the History Channel’s hit TV show Counting Cars.